Last working day before Chinese New Year Holiday: Feb 12th. 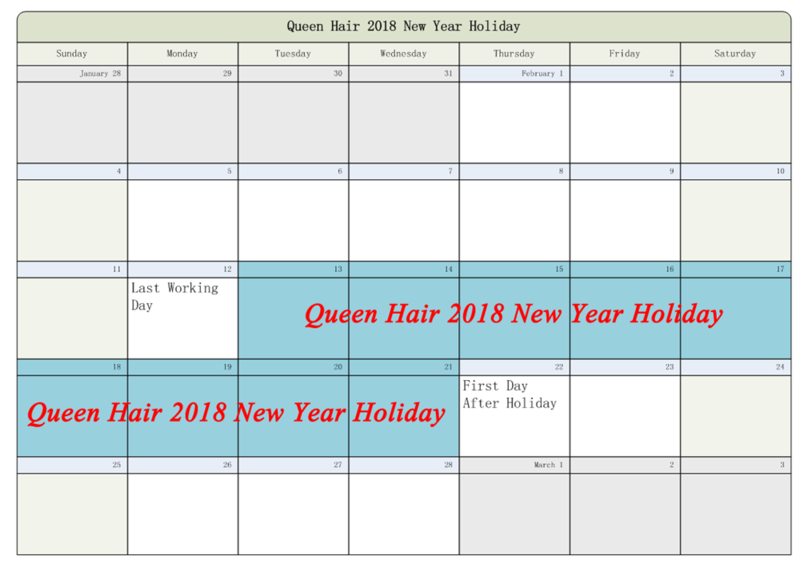 Chinese New Year Holiday: Feb 13th to Feb 21th. First Working Day after Holiday: Feb 22th. If you have any question or need, Please contact us, Thank you very much. Sincerely wish you and your family happiness, cheerfulness and success!